When the French painter and experimenter Louis J. M. Daguerre revealed the secret of making daguerreotypes in 1839, his invention was revolutionary – the world’s first practical method of photography. Daguerre’s process was quickly improved upon by American experimenters, enabling the first photographic portraits to be made. 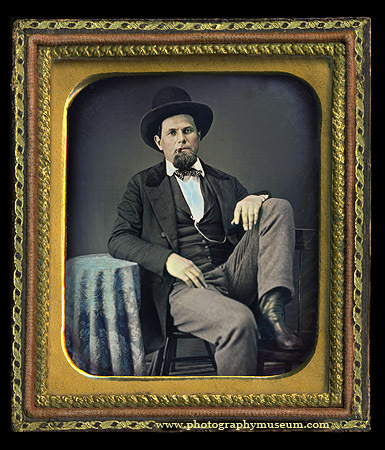 Within months, Americans were flocking to newly-opened daguerreotype galleries to pose for their portraits, made on glittering, mirror-like silver surfaces. 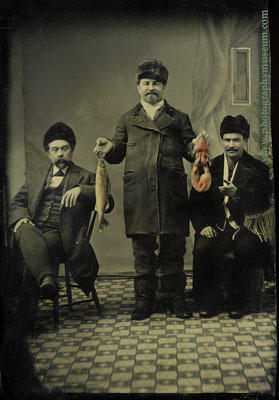 The earliest photographic portraits were objects of wonder. 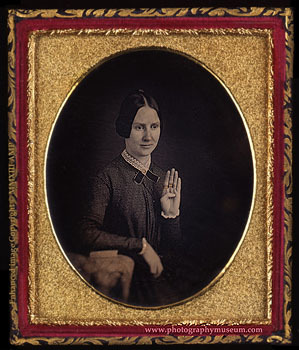 From tentative beginnings in 1840, the practice of capturing a person’s “perfect image and identity” with a camera became an industry, an art form, and a means for Americans from all walks of life to send a personal and often intimate message about themselves into the future. The new exhibition Daguerre's American Legacy: Photographic Portraits (1840 -1900) at the MIT Museum in Cambridge, Massachusetts includes 100 of these spirited early photographs of Americans, made with the process invented by Daguerre. The exhibit in the Kurtz Gallery for Photography is based on the first-ever public display of photographs in the home of Louis J. M. Daguerre, in the City of Bry-sur-Marne near Paris. 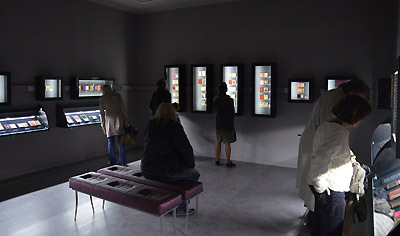 A newly-renovated space in the historic home (right) provided a showcase for a selection of American portrait daguerreotypes from the collection of Wm. B. Becker, director of the online American Museum of Photography. 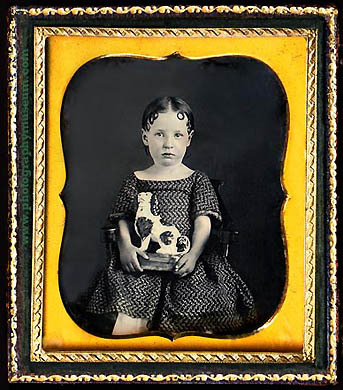 These images, made during the 20 years before the Civil War, display the inventiveness and creativity of the American daguerreotype artists who helped build an entirely new medium based on Daguerre's invention. The exhibition includes the only documented portrait from the world's first photography studio, as well as a selection of rare images portraying Americans at work in occupations ranging from newsboy to cabinetmaker to telegraph operator. Despite the common stereotype of old photographs as stiff and rigid, Daguerre's American Legacy shows surprising examples of Americans relaxing and just being themselves. 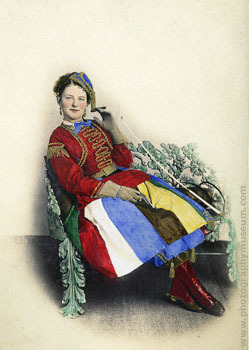 In one portrait, a man chomping a cigar casually props his foot up on a chair. In another, a gentleman with wavy hair seems to sprawl diagonally across an upholstered Victorian sofa. Other daguerreotypes include works by early American masters: Southworth & Hawes, Jeremiah Gurney, Mathew Brady and Marcus Root. But many of the images on display are by unknown makers -- who created images that are still compelling, 150 years later. "The Blind Authoress of New York"
Mrs. De Kroyft married a young doctor in Rochester, New York who was gravely ill at the time of the ceremony. Shortly after the couple said their vows, he died. Within a month, she became blind. Mrs. De Kroyft spent the rest of her long life writing about her experiences, and traveling around the country selling her books-- turning her personal tragedy into a career as one of the best-selling self-published authors in American history. Daguerre's American Legacy also features the photographic technologies that followed the daguerreotype. These include Ambrotypes, on glass... tintypes, on thin sheets of iron... as well as cartes de visite and cabinet cards made on photographic paper. 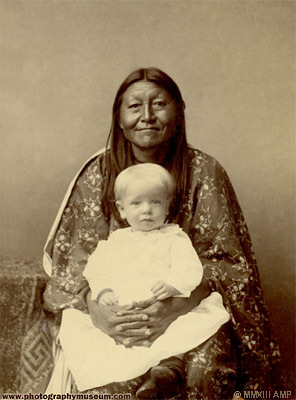 Visitors will see revealing pictures of family life, group portraits, and images that capture the way Americans expressed their character and identity when facing the camera. A selection of manipulated photographs includes such wonders as imaginary snowstorms created in the studio, double and triple exposures in which a single person appears as a set of twins or triplets, and spirit photographs complete with transparent ghosts. The images in Daguerre's American Legacy tell the story of American portrait photography... from its earliest days, when a mere likeness was enough to attract an excited crowd... to the year 1900, when portraits became less about outward appearance and more about projecting a character, personality, or mood. These are images from the past-- created with the future in mind. A 328-page book with 230 color illustrations, including all 220 images in this exhibition, is published by Mare & Martin of Paris in both French and English editions, titled Daguerre's American Legacy. The book is co-written by the exhibition's curators, François Brunet, Professor of American Art and Literature at the University of Paris - Diderot, and Wm. B. Becker, director of the American Museum of Photography. Copyright © MMXIV The American Photography Museum, Inc. All Rights Reserved. "American Museum of Photography" and the logo are Service Marks of The American Photography Museum, Inc.